Going through marital difficulties can be a painful and isolating experience. While all around you couples appear to be happy, you and your spouse are drifting farther apart and may even be considering plans for a divorce. Before taking any actions which could jeopardize your rights and your financial security in the years to come, it is important to speak with our Fort Lauderdale divorce attorney first. We can help you get a better perspective on your situation and how divorce laws may apply in your case. Florida is known as a ‘no-fault’ divorce state, meaning that neither party has to give a reason for wanting a divorce.This avoids the need for placing blame on one spouse or another and allows to file simply on the basis of irreconcilable differences. At the same time, it can help you personally to understand where and how your marriage went wrong. Money Issues: Disagreements over finances are a point of contention for many couples, Whether it is the stress of job losses or issues over how funds are managed, money matters can play a serious role in the breakup of your marriage. Communication Problems: The ability to communicate effectively about issues that are important is vital in your relationship. When the only means of doing so involves yelling, name calling, and accusations, issues remain unresolved. Power Struggles: When one partner appears to have more power or authority over the other, it creates an imbalance and can cause resentment and rebellion. Unrealistic Expectations: Expecting more from your marriage or wanting your partner to change certain behaviors can lead to disappointment and bitterness in your relationship. Low Self Esteem: Feeling less attractive or unfulfilled in your life or career can eat away at your self-esteem, leaving you less satisfied with your marriage and with your spouse. Lack of Intimacy: Sexual problems and a lack of romance in your relationship can leave partners with a feeling of alienation from each other and the desire for something more. Infidelity: When one of the spouses engages in an emotional or physical affair it can be devastating to the relationship. 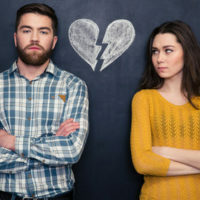 While fault grounds do not play a role in your ability to obtain a divorce under the Florida Statutes, adultery may be a factor in property division. Domestic Abuse: According to the Florida Coalition Against Domestic Violence, more than 105,000 cases of abuse were reported in 2016. If this is an issue in your marriage, you need to seek help immediately. At the law offices of attorney Vanessa L. Prieto, we provide the caring, professional legal guidance you need when experiencing problems in your marriage. Call or contact our office online today to speak with our Fort Lauderdale divorce attorney about your situation and how we can help.